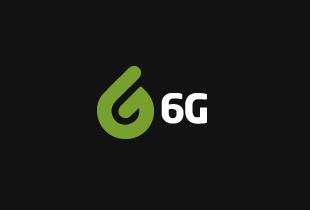 Lancashire-based company Internexus and internet service provider 6G Internet are building a new wireless network to deliver ultra fast broadband connection to Blackburn by 2025. Works on the installation of wireless transmitters on monopoles, telecommunication masts, roof-tops and street poles will begin in the next couple of months. As this does not require digging up roads, works will cause minimal road closures or disruptions. Cllr Phil Riley, Blackburn with Darwen Council’s executive member for regeneration, said: “We know that faster broadband and a better internet connection can make a real difference to people’s lives, helping them to not only carry out essential tasks such as money management, applying for jobs and accessing education, but also connecting them to more people through social media. Phil Walker, director of finance at 6G Internet, said: “Over the last 15 years, billions of pounds have been invested in research and development for wireless broadband technology. "NASA uses it to communicate with its Mars rover, Tesla’s cars use it to update and navigate. Now we are using it to make sure people in Blackburn can access the internet faster and cheaper than anywhere else in the UK. Neil Knighton, communications manager at Internexus, said: “We are working very closely with Blackburn with Darwen council to ensure the absolute minimum disruption for residents. "Our liaison officers will be on site to make sure things are running smoothly throughout the process, while residents will also be able to call a dedicated phone number for community support on 01254 405 000.